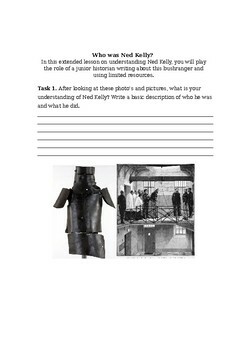 A short unit of work enabling students to understand something of Ned Kelly and his life and times using authentic resources and also the role he plays in Australian culture today. 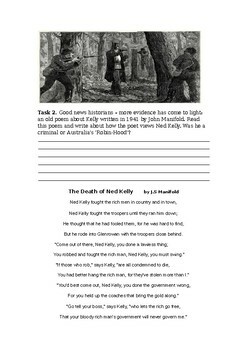 This was initially made for my Chinese students studying the QCE year 11 and appears in the focus book on Australian identity. 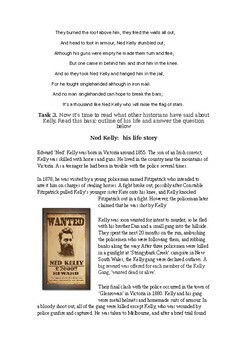 A ppt (see separate upload) can be used to supplement this unit and I also recommend using the trailer from the Heath Ledger movie available on Youtube.